We're a membership non- profit volunteering organization based in Ghana dedicated to promote Socio-economic development in Ghana. 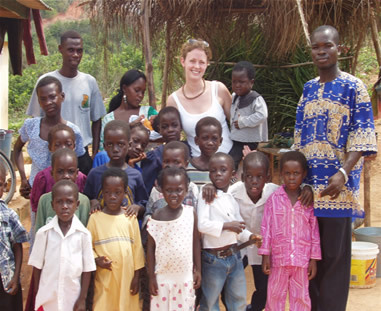 We provide free basic education for street-children and orphans,education HIV/AIDS awareness and supporting community development in Ghana through volunteerism. Teaching in public school with subjects such as English language,French language,Spanish language,Science,organizing recreational activities and going on excursion with the kids. 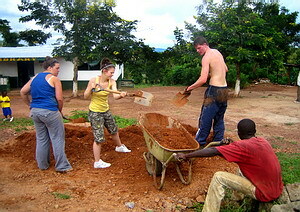 We're involved in inviting people from around the world to come and participate in our voluntary work and internship projects in Ghana and for being immense in our cultures. We offer placements that will either utilize skills you hold already or give opportunity to learn new skills. We will match your skills and expectations with those of your chosen options to ensure your placements is a professionally as well as personally, rewarding experience.